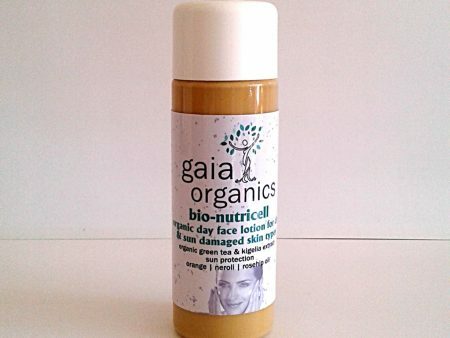 Another wonderful moisturizer unique to Gaia Organics, our premier product by far! Advanced anti-ageing and skin cancer preventative lotion, this product is suitable for all skins, men and women, but particularly useful for dry and damaged skins. Natural sun protection +/- SPF 25, the Bio- Nutricell will restore damaged skin and provide a barrier against the sun for day use. Directions: Shake well, puddle into one cupped hand, spread over the hands, then face, neck & arms. Contains: Kelp (iodine), purified aqua, Green Tea extracts, Kombucha & Yeast extracts (selenium), Comfrey Allantoin, Ginseng, Zinc Oxide, Tannic Acid, Para-amino Benzoic (PABA), Beta-carotene, Vitamins A, B2 & 6, C & E, d- Panthenol, Tyrosine, Glutathione, Thymol, Colloidal Silver, cold-pressed Sesame, Jojoba, Flax Seed & Evening Primrose oils and essential oils of Lavender, Rose Geranium, Neroli, Bitter Orange, Patchouli & Ylang Ylang. 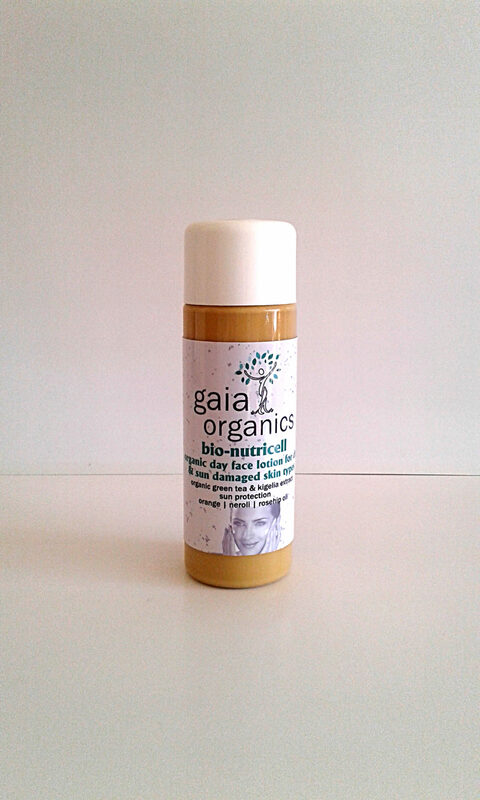 This product is also infused and enhanced with Kigelia extract which is derived from the fruit of the indigenous African Sausage tree (Africana kigelia) and is widely acclaimed to have anti-bacterial and anti-viral and anti-fungal properties and is very rich in oleic acid and essential fatty acids as well as anti-cancer and cancer inhibiting properties..